Kikizo: Is the damage permanent? Drescher: It depends on how successful you are as an invader. If you come to the city and you barely fight your way inside, and as soon as you get in some of the defenders repel you, you won't actually have the opportunity to do a whole lot of damage to the city, so the vast majority of structures will remain intact, but anything that you destroy - the city has lost that, it needs to be rebuilt. In terms of things like the King, you cannot permanently kill the King. The King is sort of like a World Cup - it's something that you're working towards, and when you successfully accomplish it, nobody goes 'Well, to hell with it. We've had one - who needs another one?' So in that regard it's a lot more like sport than traditional videogames. Traditional videogames are very "singular" - you generally play them alone against the system. Our game you play with other people - you play cooperatively, you play competitively. So it's a lot more like a sporting event - every year it sort of renews itself. And that back-and-forth combat between the cities, that's our "season," and the "championship" would basically be breaking in, burning all the buildings and killing the King. 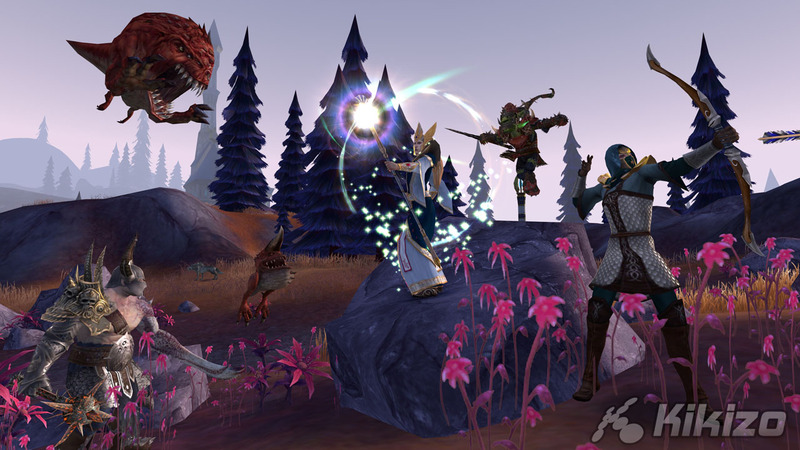 Kikizo: Oddly enough when we think of World of Warcraft, we think firstly of the CGI sequences. Obviously that's not what makes it a success, but how important do you think such aspects - and presentation in general - are to an MMO? Drescher: Important enough that we've got two of them. Those types of things are very important for setting a mood, you want to be able to put a player - for the same reason a movie trailer is important, it lets you know on a very basic level, that feels like it's probably for me, so we want to give that sort of sensibility to the players as well. Drescher: As for the implied comment, y'know, 'are we attempting to replace World of Warcraft' - we really aren't. I think what they've basically done is extremely important for the genre, if you look at where the industry was before World of Warcraft came out in terms of western MMOs... When we launched Dark Age of Camelot in 2001 - when we got a quarter of a million subscribers, that represented the second largest MMO population in the world. The only game that was bigger than us was Everquest with 500,000 [subscribers]. And that was a massive population at that time. So the order of magnitude change that we've had between then and now is significant, and that's largely to do with their success. And so within the industry I think any sane developer is very thankful, because it's brought millions of people to this particular genre, they understand what these games have to offer, and for the same reason that nobody says 'I'm only willing to watch football - I'll never watch rugby,' people are going to be more inclined to try different MMOs. And as a result I think there will be a trickle-down effect of more success for more developers because of WoW. And actually if you look at the games that have come out since WoW came out, there have been very, very few unsuccessful MMOs. Now obviously none of them have gotten millions of subscribers, but almost all of them have been profitable - almost all of them have been successful by any sort of reasonable measure. So they've been very positive for the industry. 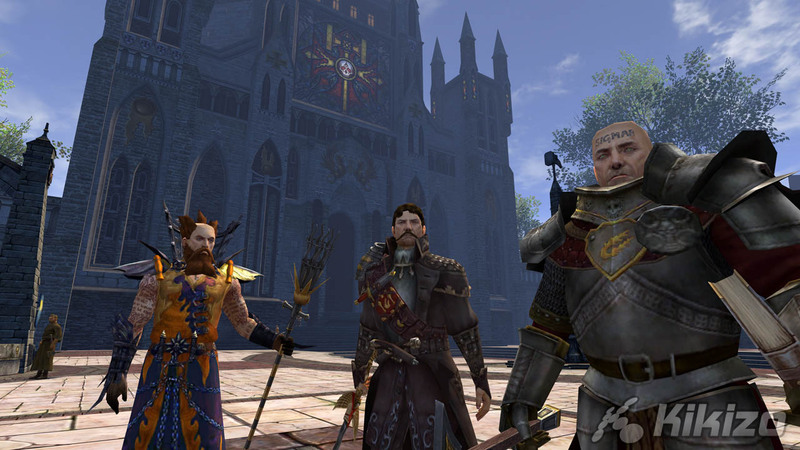 Kikizo: What about people who don't play MMOs, or even don't play videogames at all? How do you get them on board? Drescher: One of the fundamental things that we've always believed in is to get the game in front of people, and let them see what we're doing. So we try to take it to shows - we take it to places that you might not expect a videogame company to go to, like Comic Con. We go to - I don't know the European versions of these - Dragon Con, fantasy conventions, gaming conventions of a more traditional sort. And we take it out and just let a more general population see it. And generally speaking what's happened is that people have responded very positively to it. The other thing is that you have to explain the game in a way which actually makes sense to people. That's the reason that I try to explain that it's more like sports, and less like the traditional idea that people have of a videogame. And finally I think that at this point there's so much momentum behind the MMO genre, that more and more people are actually getting attracted to it every day. The vast majority of PC gaming these days is MMO gaming, which is a massive change from ten years ago when it was almost all first person shooters. Kikizo: That's interesting. As you can probably tell we're not experts, but then you can't become an expert on every genre, can you? Drescher: I'd recommend becoming an expert on this one! Age of Reckoning is out now. Interview by Adam Doree, who knows nothing about MMOs. Words by Edwin Evans-Thirlwell, who might.